Is Your Workplace Winter Weather Ready? Extreme winter weather in North Carolina tends to be scattered weeks and even months apart, sometimes striking as late as April. When the temperatures drop and the weather gets hazardous, make sure you’re prepared and your employees stay safe. Get relevant information from OSHA’s Winter Weather webpage to help prevent winter weather-related illness, injuries and fatalities. Attention all outreach trainers! There will no longer be a grace period for expired trainer’s cards. 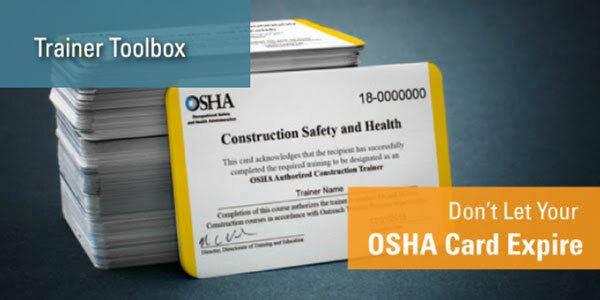 If your trainer authorization expires, you will be unable to oversee OSHA Outreach Training Program classes and receive student course completion cards. The only grace period exemption is for overseas military service. Military service members have 90 days to renew their trainer card after re-entering the United States. These revisions apply to construction and general industry outreach programs alike. This is great information. 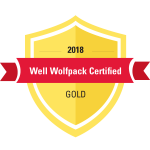 The presentation bears the high quality seal from the Great NC State.